I first began experiencing anxiety and depression at the age of 14 after being bullied at school for years. While at first it would come and go, anxiety and depression eventually became a constant presence in my life. It was like a perpetual cough that eventually starts to get better, only to come back worse than before. Only unlike a cough, where usually I am still able to function, anxiety and depression hits like a ton of bricks and even the idea of getting out of bed seems to be a goal that gets to be less and less attainable. As time passed, more and more of my days started to be spent paralyzed by endless thoughts of regrets of the past and worries for the future. I was so intent on finding the solution to overcoming my anxiety and depression that I studied mental health in school, from college to grad school for 7 years, and yet still felt I hadn’t even come close to grasping how to manage my own anxiety and depression. I felt very confident about helping others; yet, horribly useless at helping myself. Something was missing; a piece to my puzzle that I had yet to discover. This was my life for over ten years; getting better, to just fall again and start over. It felt like a constant uphill battle, swimming against the current, and I started to feel like nothing was going to work. I started to believe that I’d have to live the rest of my life with this dark cloud constantly hanging over me, rearing its ugly head just when things are starting to look up. 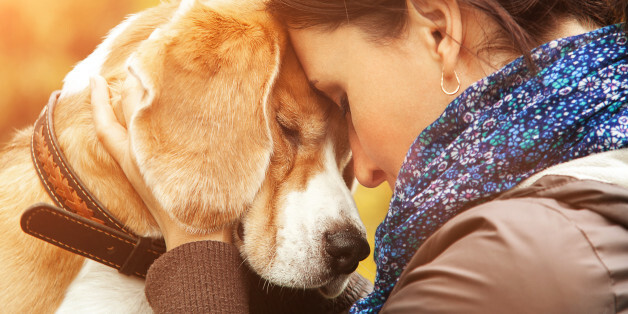 Until one day, I fell upon an article that talked about how dogs were able to help people with their mental health, like anxiety and depression. I had always loved dogs; my family had many growing up and they had always been wonderful companions. So I decided I was going to get a dog. I settled on the idea of getting a Pembroke Welsh Corgi because if they were good enough for the Queen, they were good enough for me; not to mention they are hilarious and cute. 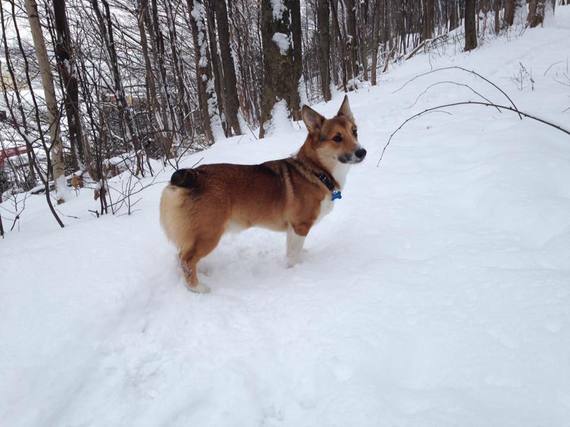 When I brought my little corgi, Buddy, home in November of 2014, I didn’t realize at the time how much he would truly change my life. But it didn’t happen right away. Once the new puppy excitement went away, the anxiety and depression crept back as it always had. I woke up one morning and felt those familiar feelings again; the weight on my shoulders, the nausea in my stomach, the feelings of hopelessness and worry. I knew that the anxiety and depression had come back hard and felt depleted. I didn’t want to get out of bed. It felt impossible. I turned to pull the covers back over my head and give up for the day. What I always did. That’s when I came face to face with Buddy. I finally realized the answer to my decade long question of how to manage anxiety and depression - exercise, laughter and love - all things that were unattainable for me before, were achieved by getting a dog. The reason these three things are so key is they all trigger the release of the chemical serotonin - the feel-good chemical in our brains. By having increased levels of serotonin every day, symptoms of anxiety and depression can dramatically decrease. 1. Do I have time for a dog? A dog requires a minimum of 2 hours a day of your time and attention. A puppy requires even more, around 4 hours a day. Not ready to commit to raising a puppy? Consider rescuing a dog in need of a home. Thousands of dogs are in need of homes. 2. What breed do I want? If you want a dog that will motivate you to exercise, pick a dog breed that requires the level of exercise you want to partake in. Dog breeds range from low to very high exercise requirements. Also, dog breeds are known for different personalities, pick one that suits you. I picked a Pembroke Welsh Corgi because they are known to be very funny and loving. 3. Do I have the money? While dogs do not need to be expensive, it’s important to make sure that you have enough money to support their needs. This includes all of their accessories, training tools, food, treats, and vet bills.